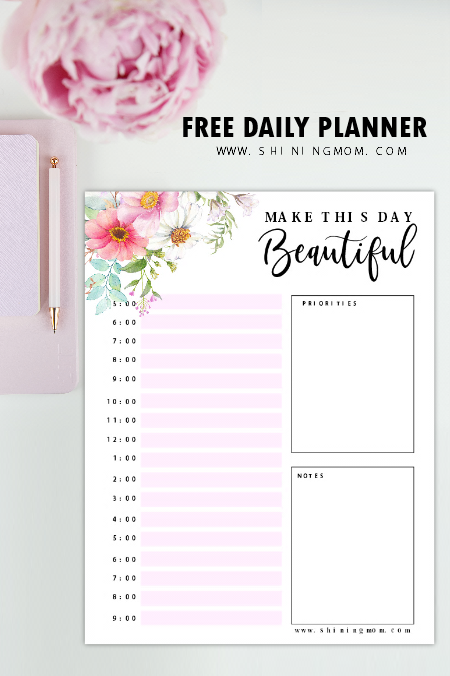 Free Printable Daily Planner: Beautiful Pages! 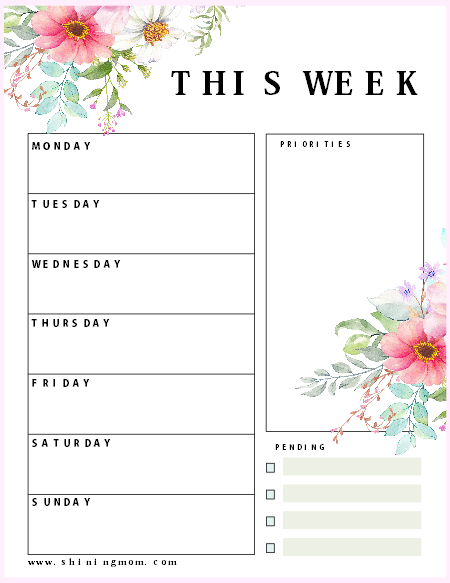 Free Printable Daily Planner: Beautiful Templates! 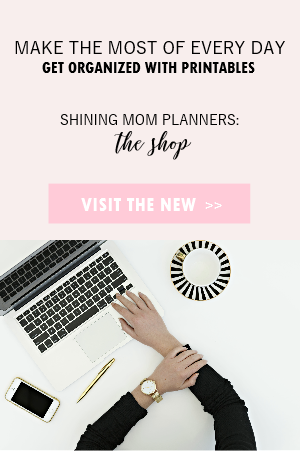 Have you tried using Shining Mom’s free printable daily planners? If you want to simplify your life, I strongly recommend that you try using one today. I have several templates available on the blog and I am adding another set! 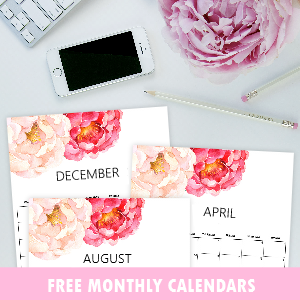 This I must say: This new one is my prettiest free printable daily planner ever! Keep scrolling to view this new set that will help you make a crazy day a little bit more beautiful, everyday! Friends! I can’t tell you enough how huge I am with daily planners. Every day, I like to see how my day is going to run by writing down my plans in a daily planner. Except during weekends (because the two full days are blocked off for my family and the Lord), I use a daily planner to manage my to-do’s. With it, I feel more focused, organized and productive. And in my especially busy days, I use special daily planners… like the ones I am sharing away today. 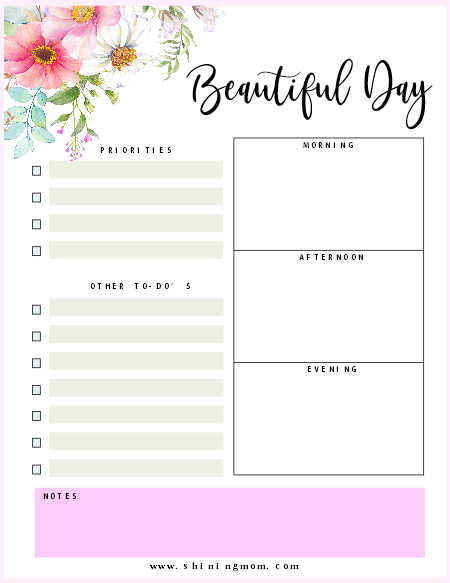 Introducing… Beautiful Day, A Free Printable Daily Planner! I am happy to launch this newest free printable daily planner set on the blog. Introducing… Beautiful Day, a daily planner designed to help you plan out a crazy day in style! How do you typically run a busy day? Do you accomplish important tasks first or you just face the day without plans? My secret weapon to get all things done on a hectic day is time blocking. It may sound too limiting at first but when you’re at it, you’ll actually realize that it’s freeing! You are more focused and you totally avoid the overwhelm of worrying not being able to finish the tasks that you are supposed to do for the day. Time blocking will let you accomplish you to-do’s to specific time of the day. That way, you’ll stay more focused and you’ll lessen your distractions! Here’s a pretty free printable daily planner that uses the time blocking system. Print it out should you like to try how effective this planner can be in organizing your busy day! We each have a planning system that works for us, and I know that. Are you the type who’s perfectly fine running your day with a bullet-type planner? 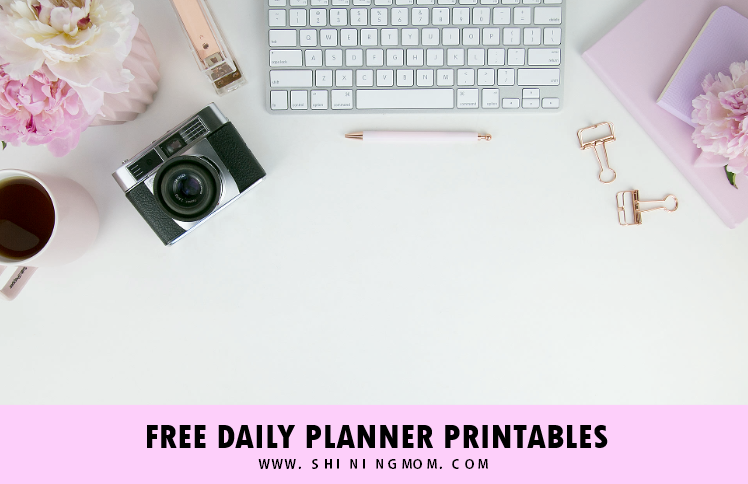 Then this next free printable daily planner is for you! This planner will simply let you write down your priorities for the day and to write your general plans in the morning, afternoon, and at night. There’s also a special spot for you to run down your other to-do’s. It’s a simple layout, isn’t it? In my less busy days that I like to use pretty planners other than the one I have, I like to use something in this layout. How about you? Moving on, the next layout for a free printable daily planner that I have created for you is a journal-type planner. With it, you can freely write your plans for the day the journaling way. Take a peek to check it you think this planner is the one for you! 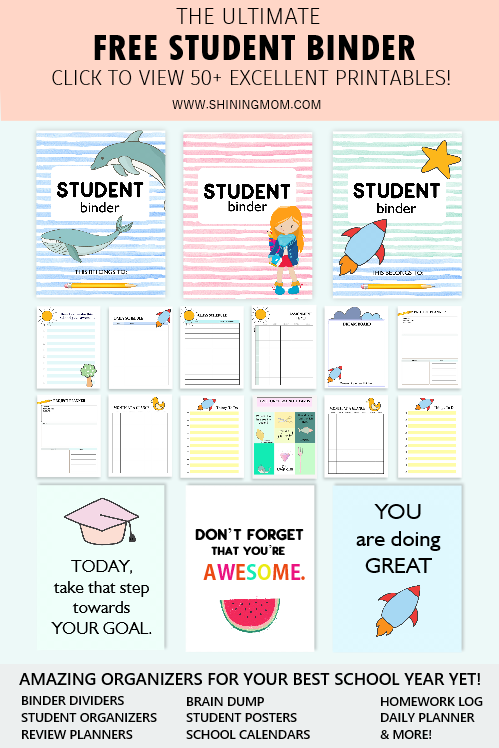 There you go, three beautiful daily planner printables that you can use right away. A special thanks to Aura and the Cat for the amazing florals I incorporated in the design. 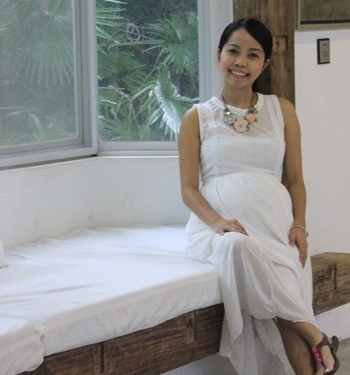 You can also find more of her creations at Creative Market. Keep track of daily activities like spending, exercise, meals and more! 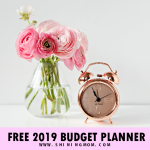 Convinced that you can make this planner work for you? 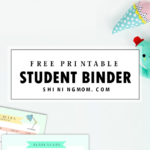 Grab the PDF file OVER HERE by joining the Shining Mom mailing list. 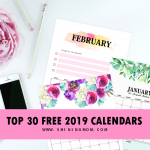 Your subscription also entitles you to receive the latest freebies available on the blog. Worry not, you can definitely unsubscribe anytime! 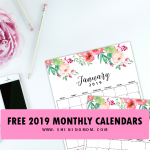 Each free printable planner is designed to be printed in US standard Letter size paper with 8.5″ x 11″ dimensions. Should you like to use another paper size for printing, be sure to adjust your printer first. This planner set can also be printed in A4 size papers. Bonus Page: A Beautiful Weekly Planner! Wait, there’s more! 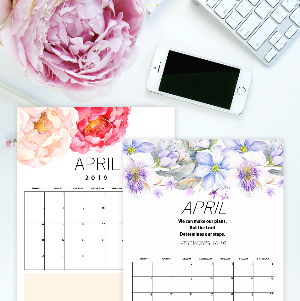 In addition to this free printable daily planner set, I have also added a beautiful weekly planner that matches perfectly with your daily planner. 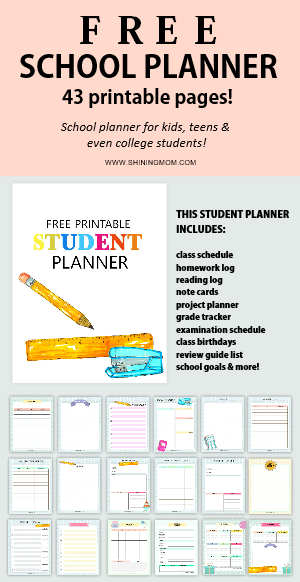 Yup, you’ll also get the free planner below in your download! This weekly planner lets you write your daily overview from Monday til Sunday so you know your major to-do’s every day. There’s also a special section for you to write down your priorities for the week so you’ll stay focused. And lastly, at the end of the week, you will also identify your pending tasks so you can accomplish them in the following week. 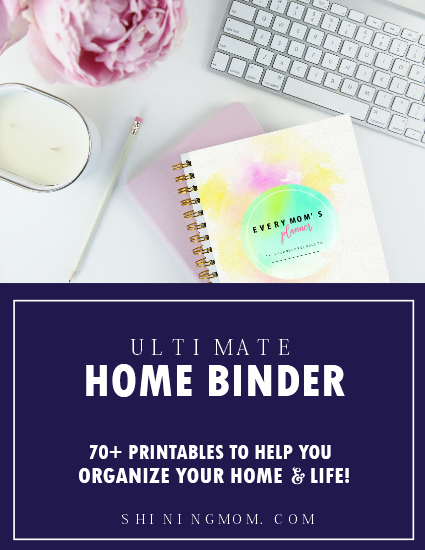 More Amazing Planners on the Blog! Help the Shining Mom blog grow by pinning this post on Pinterest so others can discover the blog, too. Thank you! 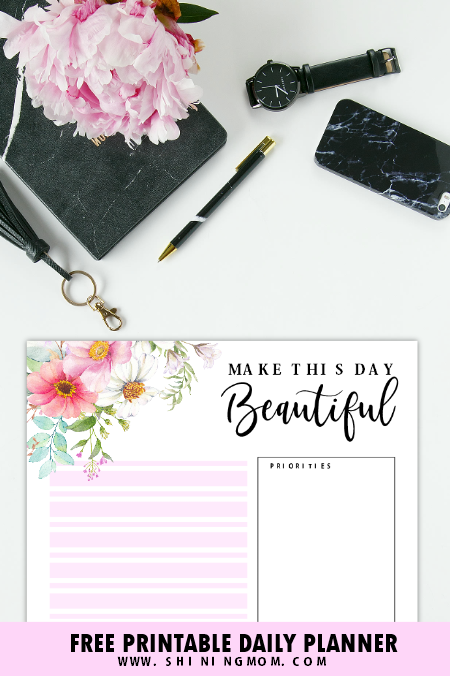 I hope this free printable daily planner set can help you have a beautiful day, every day. Cheers! 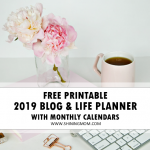 « FREE Printable Lady Blogger Planner: 20 Pretty Pages! Need proper prinables to do my budgeting on and working stuff out on and just saw these and these look just fine just what we need thank you take care bye.